Tennessee Orthopaedic Alliance, the largest orthopaedic surgery group in the state, continues to expand. Earlier this year, TOA opened an Urgent Care/Injury Care Clinic in their oneC1TY offices to provide expert treatment for sudden injuries to bones, muscles, or joints. Supported by TOA's network of surgical specialists, the clinic provides patients with access to specialty care without appointments and after normal practice hours. TOA officials said the goal was to provide convenient and immediate access to non-emergent care for sports, recreational, home, or work-related injuries. Everything from strains, sprains and dislocations to broken bones, fractures and more acute injuries, can be assessed onsite. In addition, the clinic offers casting, X-ray, MRI, and CT services. TOA's Urgent Care/Injury Clinic is open 9 am-7 pm Monday-Friday and 9 am-noon Saturday. The clinic sees both adult and pediatric patients with fellowship-trained pediatric orthopaedic surgical specialists available for consultation. Last month, Justin W. West, MD, joined TOA in the Murfreesboro office where he treats both adult and pediatric patients. He is a fellowship-trained orthopaedic surgeon specializing in sports medicine, arthroscopic surgery of the shoulder and knee, and complex shoulder reconstructions including anatomic and reverse total shoulder replacements. He is also trained in cartilage preservation and restoration techniques. West earned his undergraduate degree in biochemistry from Tennessee Tech University and received his medical degree with high distinction from the University of Kentucky. Subsequently, he completed a residency in orthopaedic surgery at the University of Cincinnati Medical Center and a one-year sports medicine and shoulder surgery fellowship at San Diego Sports Medicine and the Scripps Clinic at Torrey Pines. He has extensive professional and collegiate sports medicine experience. While in San Diego, West served as a team physician for the San Diego Chargers, San Diego Padres, San Diego State Aztecs, San Diego Gulls and several other college and high school sports teams. Currently, he serves as a team physician for MTSU, Sewanee, and Rutherford County Schools. 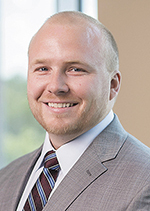 In August, Justin W. Langan, MD, joined the practice at the TOA Saint Thomas West location. The fellowship-trained orthopaedic surgeon specializes in in both anterior and posterior hip replacements, as well as total and partial knees. He earned his undergraduate degree from Western Illinois University where he also lettered in football and soccer. Langan received his medical degree from University of Missouri-Kansas City School of Medicine where he was a member of the Gold Humanism Honor Society and served as president for the School of Medicine and Surgery Society. 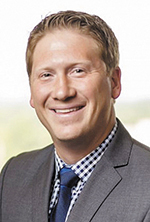 He followed with a residency in orthopedic surgery at Greenville Health System University Medical Center where he served as chief resident and received the American Orthopaedic Association Resident Leader award. He completed his fellowship in adult reconstruction at Southern Joint Replacement Institute.